Dr. Jan Pol is not your typical veterinarian. Born and raised on a dairy farm in the Netherlands, he is the star of Nat Geo Wild's hit show The Incredible Dr. Pol and has been treating animals in rural Michigan since the 1970s. Dr. Pol's 20,000-plus patients have ranged from white mice to 2,600-pound horses and everything in between. 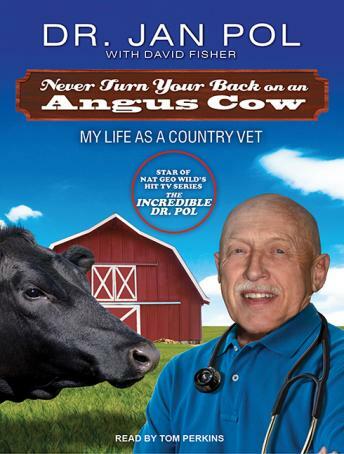 From the time he was twelve years old and helped deliver a litter of piglets on his family's farm to the incredible moments captured on his hit TV show, Dr. Pol has amassed a wealth of stories of what it's like caring for this menagerie of animals. He has established himself as an empathetic yet no-nonsense vet who isn't afraid to make the difficult decisions in order to do what's best for his patients-and their hard-working owners.